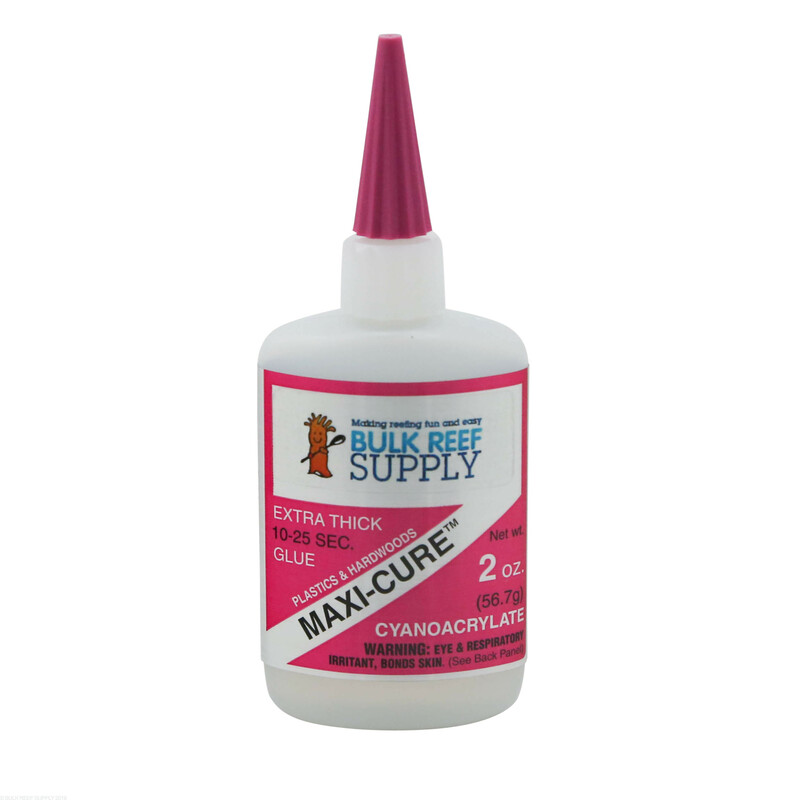 Bob Smith Industries Maxi-Cure super glue is an thick gel cyanoacrlate based adhesive. 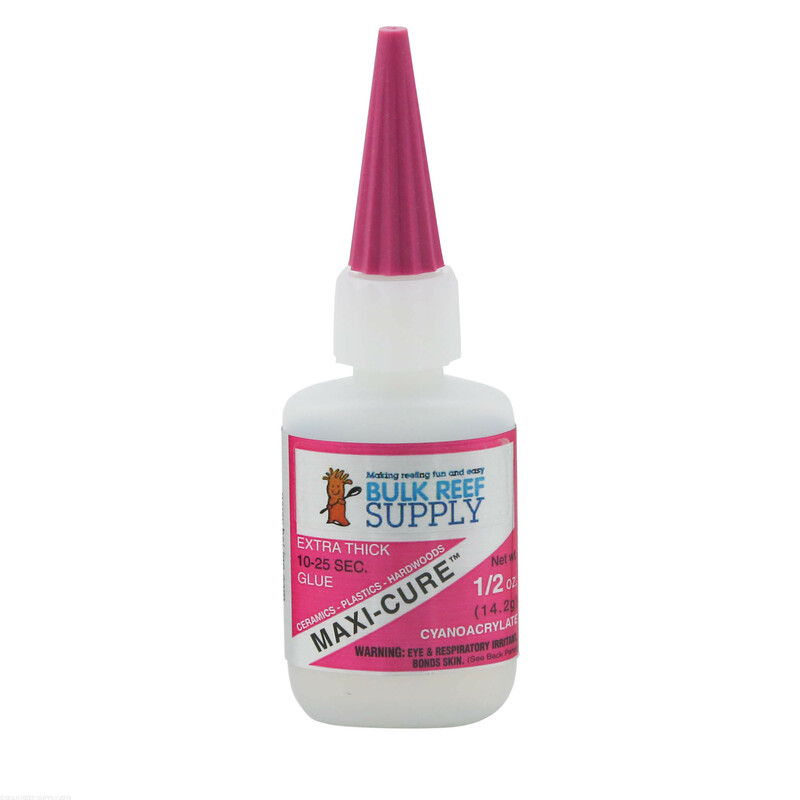 The Maxi-Cure super glue is great for gluing small to large frags. The extra thick viscosity helps hold frags in position until the glue has set completely and can bridge small gaps where standard super glue would fall into the gap. We highly recommend the Insta-set Accelerator to help speed up the set time for any extra thick super glue. 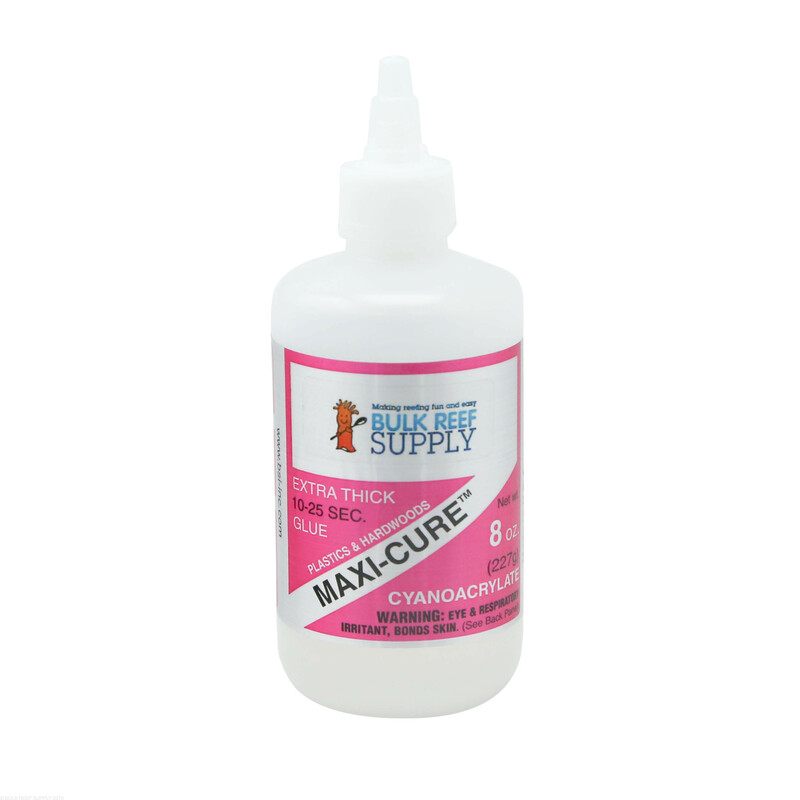 Maxi-Cure is labeled as "Extra Thick" however we do find that it is closer to standard Thick gel type glues. 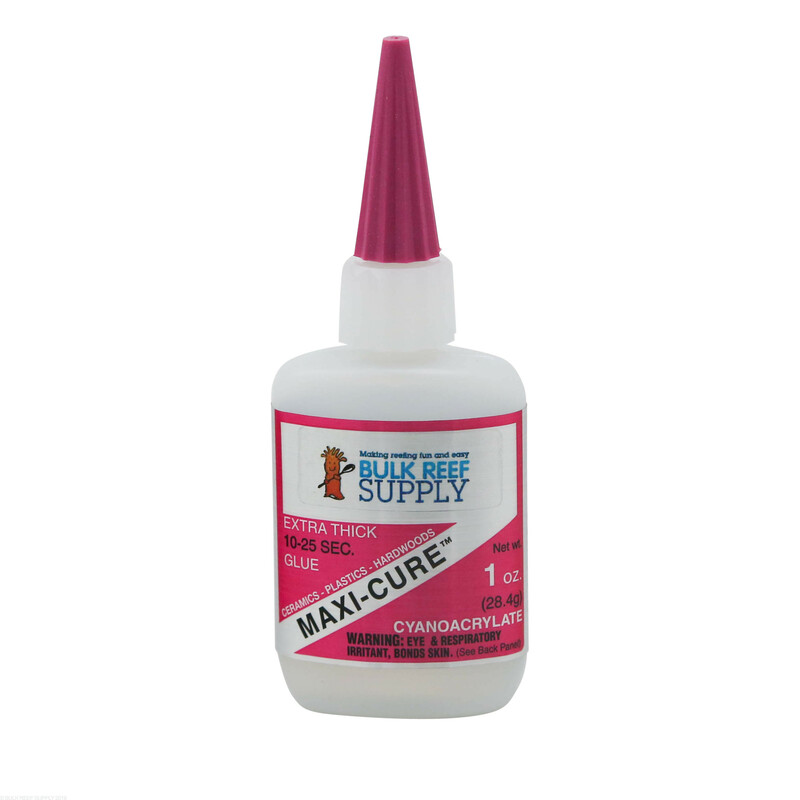 For a thicker consistency we recommend the IC-Gel Super Glue. 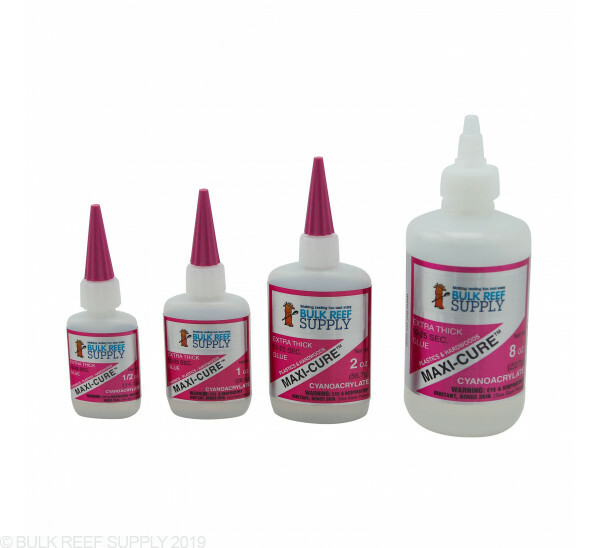 Super glue (cyanoacrylate) is widely used for mounting coral frags to plugs, rocks, and what ever you may need to attach them to. Super glue can also be used to bond rock work when aquascaping for a seamless look. We find that if larger gaps are needed to be bridged when aquascaping either building up layers of glue, or placing a smaller rock that fits in the gap and then gluing over the top works really well. Usually when using super glue with aquascaping we will take a small amount of large grain sand to help give the glue some texture and blend it into the rock as well. Glue was extremely watery. Corals and plugs do not stay on the rock after using this glue. Gets EVERYWHERE. I'm surprised that BRS actually put their name to this product. I love this glue because it lasts forever. It should come with an extra nozzle or two because after a number of uses, they get clogged up or become covered in dried glue. There is nothing extra thick about this glue. It is watery and does not stick well at all. Only one tip sent and it clogs right away. 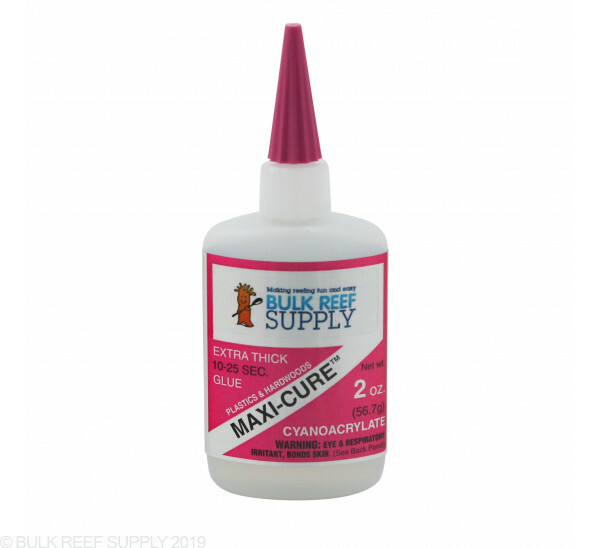 I’ve used a lot of coral glues and I will not buy again. Very thin consistency but other than that works well. So the description says Extra Thick but this is not even regular thick glue for coral propagation you buy online. Not only that, it does not hold the corals well. I lost a lot of Zoa because of this, they just floated away. in a large established frag tank, its impossible to retrieve all those frags now. Not sure why they call this extra thick. Mine was very watery and took a while to set. Not thick glue at all. Takes a long time to stick to surface. All super glues will work great but they do set very quickly under water. Reef epoxy is a great option to hold larger rocks as well. Feel free to let us know if you have any further questions!